INDIANAPOLIS (AP) — After several school shootings across the U.S., Indiana communities and school officials say the issue of school safety is so important that they plan on taking matters into their own hands because state lawmakers may be slow to act. The issue has erupted in schools across the U.S. in the wake of shootings that killed 17 at a school in Parkland, Florida, and 10 in Santa Fe, Texas. 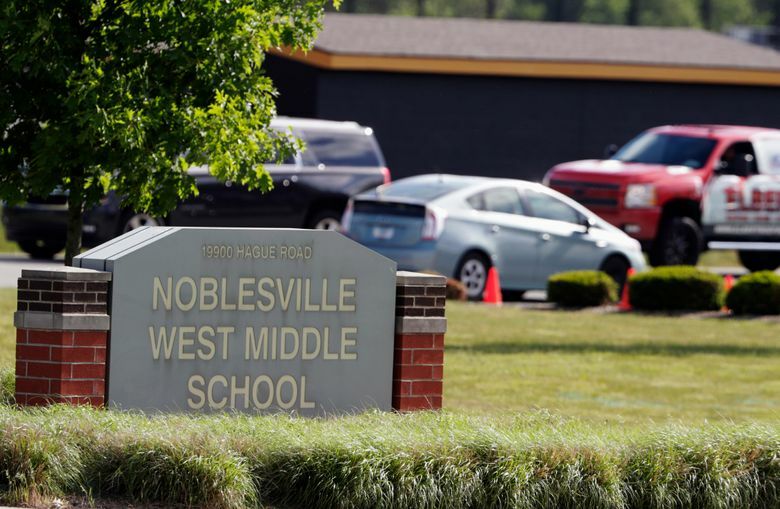 The national headlines hit home last month, when a 13-year-old boy opened fire at a Noblesville middle school, wounding a 13-year-old girl and the science teacher who tackled the boy to stop the shooting. Now Tanoos’ district is one of many across the state that are having internal meetings and public forums to hear from parents and local law enforcement agencies. One topic has been installation of metal detectors. Others have conducted professional active shooter training for staff. Lawmakers, at the request of Gov. Eric Holcomb, boosted school safety funding by $5 million during May’s special session — which Democrats estimate amounts to an additional $7,000 per school. But now leaders of the GOP supermajorities say they are in wait-and-see mode. House Speaker Brian Bosma recently declined a request from Democrats to add school safety to the topics lawmakers will study during the interim before next year’s session. Both Bosma and Holcomb say they will wait to decide if legislation is needed until after assigned government agencies conducting reports make recommendations, which the earliest is due by August. Bosma, of Indianapolis, also bristled at the suggestion that lawmakers aren’t doing enough. “Indiana is doing more than studying the school safety issue — we are taking action,” Bosma said in a statement. “I believe it is imperative that state lawmakers take an active role on this issue from the start, and be ready to act on a bipartisan series of initiatives to ensure our schools are truly safe havens,” the Austin Democrat said in a letter to Bosma. In pro-gun Indiana, Republicans for years have touted security and safety measures at schools. The state has a “red flag” law that allows weapons to be taken from someone if they are a danger to themselves or others. It is also one of only two states that require a certified safety specialist in every school corporation. Indiana created the School Safety Specialist Academy in 1999 to provide the latest training and information on national and state practices. Yet the money available in the state’s school safety grant program, which pays for schools to cover the cost of security equipment and safety resource officers, has not met demand. There were 390 applicants in 2018 for the grant — up from 247 last year. They are competing for a total of $14 million in matching grants, according to the Department of Homeland Security spokesman David Hosick. School corporations, including public, private and charter schools, can receive $35,000 to $50,000 a year depending on enrollment. School districts across the state have been seeking more money and resources on their own. “We found creative ways to ensure that we can pay for the programming,” Tanoos said. He said that in addition to the grant funds, schools in his district have also received money from the city auctioning old assets. Tanoos said schools need to do more than complain about funding. “Can you really put a price tag on somebody’s live and safety?” he asked. One possible solution comes from a recent U.S. Supreme Court ruling that provides a pathway for states to legalize sports betting. It’s far from certain if the Legislature will expand gambling in the state. But if they take action, it could provide funding for school safety improvements, said state Sen. Ron Atling, who chairs the powerful Senate Public Policy committee, which oversees gaming legislation. There’s still considerable debate over the best way to keep schools safe. That’s in part because there is scant research on the issue, said Jagdish Khubchandani, an associate professor at Ball State University who specializes in community health issues. Khubchandani said the gun violence issue is complex, which includes parenting practices, gun access at homes and children’s mental health. “You cannot solve a problem if you don’t know what’s happening,” he said.